Rickety ladders may soon be a thing of the past. This efficient design was created to replace lightweight ladders with a set of sturdy steps. Made from sleek metal parts, the product is lightweight and portable, yet, self-supporting and safe to stand on. Whereas step ladders are typically retrieved from storage when needed, Dais’ practical, dual-purpose design means it can remain in the interior. Like a stool, the product provides an impromptu seat, but also creates a table surface and a shelf for practical use and display. When extra height is needed, Dais can be moved into position and climbed with the ease of a staircase. 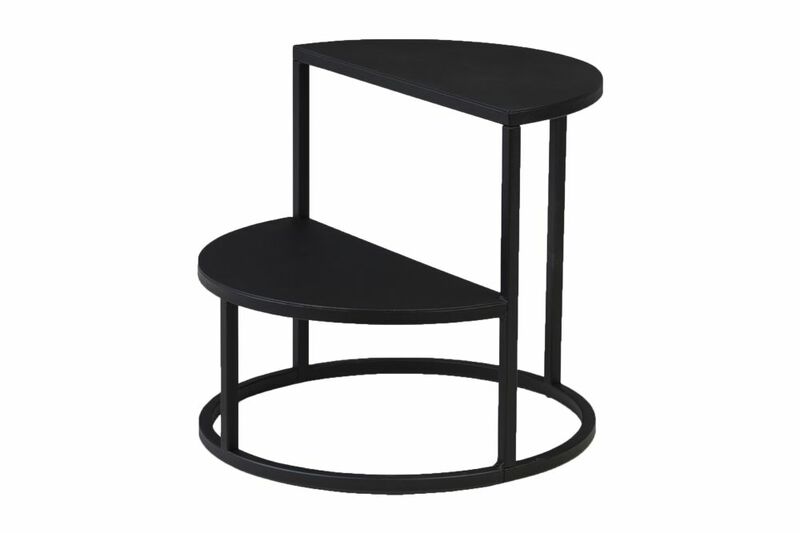 The steel steps are supported by a circular base. Easy to move and fun to use, Dais is literally a step up from conventional ladders. Design studio Gridy was established by two product designers, Wilhelm Grieg Teisner and Lars Olav Dybdal. Both studied at the Bergen Academy of Arts and Design. They created the name ‘Gridy’ by combining their surnames – Grieg and Dybdal. Now based in Oslo, Gridy create functional designs with a strong sense of individuality, which are often underpinned by an element of wit. In 2011, Gridys’s Spiff lighting design was selected as one of six ‘must see’ lamps exhibited at London’s 100% Design trade fair. The following year, the duo won the Stelton Meets Corian design competition with their Trix candlestick concept. The award-winning Spiff table lamp was added to our collection in 2012, making Flame Gridy’s second design for Northern Lighting.